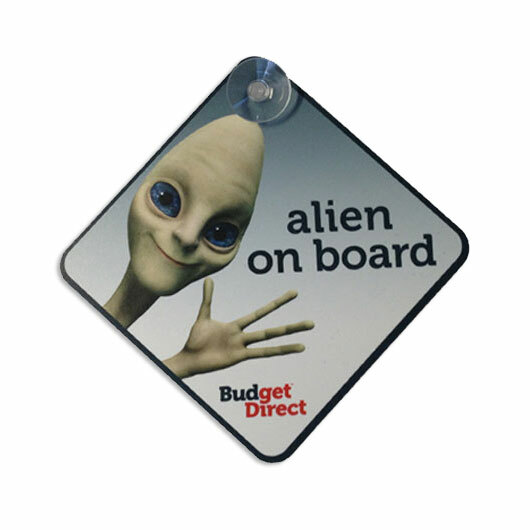 A car window hanger with your promotional message. 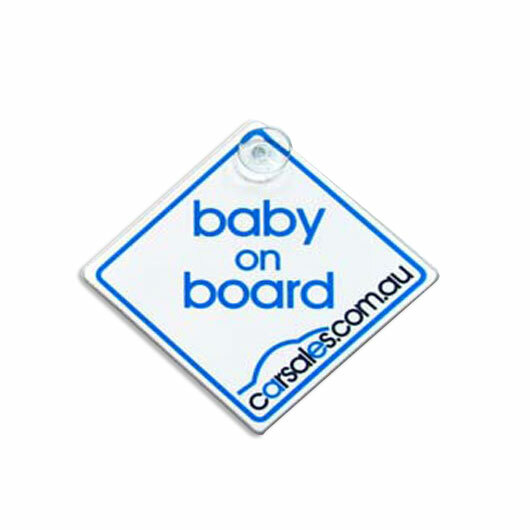 Baby on board or wanting to promote something in your car? These car window hangers are an easy way to get your message seen, they are a durable polypropylene sign with suction cup inserted, an extremely visible promotional product for the car's rear window. 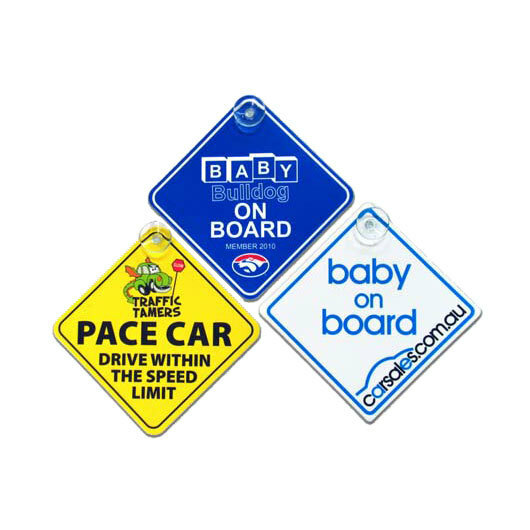 Great for vehicles or anywhere you can stick em!